“Thanks to our continuous search for innovative solutions and to our care for people, we work each day to bring about a natural improvement in the living conditions of those who suffer from allergies and dermatological diseases”. Alpretec, founded in 1997, is a company specialised in the design and production of medical textile devices. Ever since it was founded, it has invested most of its resources in Research and Development to ensure innovative solutions with high quality standards for personal well-being. It began by patenting and launching on the market a fabric designed for people who are allergic to dust mites. Thanks to this invention, in a very short time it became the market leader in the sector of dust mite encasings. 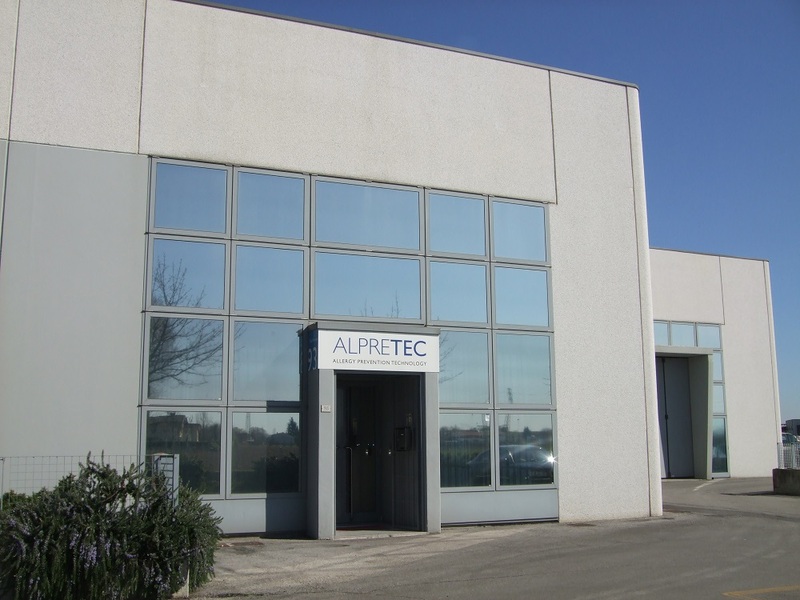 Two years later, in 1999, Alpretec became exclusive distributor in Italy of the revolutionary dust mite encasings Microair Pristine®. Shortly afterwards it obtained the licence to sell the fabric also in other European countries. In 2001 Alpretec patented DermaSilk®, the innovative line of therapeutic clothing created for people suffering from problems of the skin and mucosa. Its garments immediately proved to be effective in numerous skin diseases. These results were obtained both “in vitro” and in clinical studies “in vivo”, so that many of these research projects were presented at the most important European congresses in the sector and published in the most authoritative journals. In 2002 Alpretec also began distributing DermaSilk in Europe through official distributors. In some countries its costs are refunded by the National Health Service and by private health insurance companies. Since 2003 the company has been certified according to to the standards UNI EN ISO 9001:2015: “Development, production and sale of high-tech textiles for anti-allergy prophylaxis, the management of diseases of skin and mucous membranes and for wellness". In 2009 Alpretec introduced the innovative Microair® Barrier gloves and socks, made of a fabric of the same name patented by the company and conceived for persons with Contact Dermatitis. Today Alpretec is a point of reference for Specialists in Allergology, Paediatrics and Dermatology as regards medical textile devices for the treatment and prevention of allergies and many skin diseases, exporting more than 50% of its production.